It’s a $6 billion “city within a city” that could be approved as soon as next week. The developers behind Lincoln Yards are hoping for a quick green light to get started on the project, which would likely be built with the assistance of $800 million in public subsidies. But some aldermen and community groups are asking, “What’s the rush?” as final plans have yet to be unveiled. Developer Sterling Bay is expected to release its final master plan sometime this week, and the project is slated for a fast-track vote by the City’s Plan Commission next Thursday. The developer says it has listened to community concerns: Gone are the proposals for a 20,000-seat soccer stadium and a Live Nation entertainment district. On the table is more park space, as seen in a mock-up rendering unveiled last week. The area’s alderman, Brian Hopkins, says as long as the specifics check out, he’s ready to give it the green light. Community groups and a neighboring alderman feel the developer is trying to jam it through before a new mayor and City Council takes over. The most controversial part would be the proposal for an $800 million Tax Increment Financing district to help build roads and other infrastructure in the new development. And they still want a city-owned public park to go right along this prime riverfront space. But the land to build this new park is currently owned by General Iron. Either the city or Sterling Bay would have to purchase the site to create a park. Still, skeptics of the project say there is not enough time between now and Thursday for the community to get answers to their questions. “For something that involves that much taxpayer money and 52 acres worth of development, it would be very unusual for this to proceed to the plan commission next week,” said 43rd Ward Ald. Michele Smith. 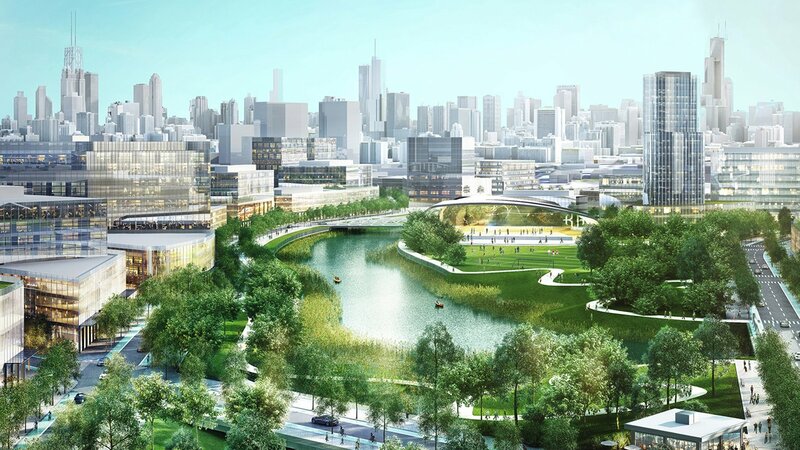 The specific master plan should contain detailed answers to demands that many community members and aldermen had been seeking, like plans for at least two bridges over the Chicago River, better streetscapes, park space and well-designed buildings. If the city’s Plan Commission approves the project next Thursday, it would still have to go before the City Council’s zoning committee. This is where aldermanic prerogative comes in. Because of an unwritten rule, aldermen tend to defer decisions on zoning changes to the alderman whose ward the development in question is. In this case, it’s Hopkins. Now, most of the candidates for mayor are saying this is an antiquated system that should be done away with. They don’t want one alderman having so much power over a development – think of the possible corruption that could breed. “Who do you want to make this decision? If you don’t want your elected representative whose accountable to you and listens to you, who should make the decision? We can’t automate it, we can’t have a computer make it. And if it isn’t an elected official, it would probably be some bureaucrat you’d never see,” Hopkins said. He also says he will try and put together a community meeting once the final master plan is out, but he’ll pull the proposal from next week’s plan commission if there is still opposition.